I began to realise that school had something seriously wrong with it on my 5th birthday. With my new leather over the shoulder school bag, I got on the bus with my older brother and was escorted to "primer one". I was filled with excitement and expected that I would go home with my own reading book that I would know how to read. Nothing like this happened. Miss #####, a gnarly bat who's crusty exterior may have effectively hidden a heart of gold, was "unintentionally disinviting". I've chosen to believe it was unintentional. Worse, she did not introduce me to key learning, -the reason I had arisen that morning full of joy and expectation. Perhaps it was because my mum wasn't there that I really didn't like it, and of course when you're 5, you don't stop to consider that you might be the problem. As time went by, the persistent uneasy feeling that either school was busted or I had something wrong with me, just wouldn't go away. During early years at school, this was a completely quiet and internalised dissonance. It became externalised noisy and silly during intermediate years and increasingly disengaged & annoying during secondary school. On the part of most of my teachers there was no question of the "Jury being out" as to whether the problem was school or me. It was institutionally obvious. School became a place I couldn't wait to leave. I could do school. I just didn't like it. On leaving school at the end of year 12, Teachers' College was a respectable option for a young school leaver from a family like mine and I was genuinely interested in whether learning could made exciting and engaging for all learners. I would love to report that our instruction at Teachers' College was exemplary, inspiring, delivered by our finest educators and started me well on the road to inspiring and engaging New Zealand School kids. I can report that I was encouraged and inspired by a very small number of outstanding educators and that some of them saw enough in me to help remain in the programme and graduate. Sadly, as an institution, the place that was intended to motivate, inspire and guide New Zealand's leading learners, appeared to me to be infected with the same malaise that affected schools. I think God must have a sense of humour because here I am, still at school at the tender age of 56 and I’ve been here since I was 5! -Amazing eh? -I didn’t like it and I never left! I was privileged to grow up and work with Maori and Pasifika people and have been blessed over and over by the warmth of the welcome, the forgiveness and the absolute inclusion I have experienced. I’ve also been blessed to experience how skilled, intelligent and capable are these people who I live and work amongst. This experience was enhanced by working in Papua New Guinea and traveling the Asia-Pacific rim. Understanding some of the history of Aotearoa-New Zealand and seeing that past live in a more village-like setting, gives one an appreciation of the extraordinary capacity of people the world views as under educated. 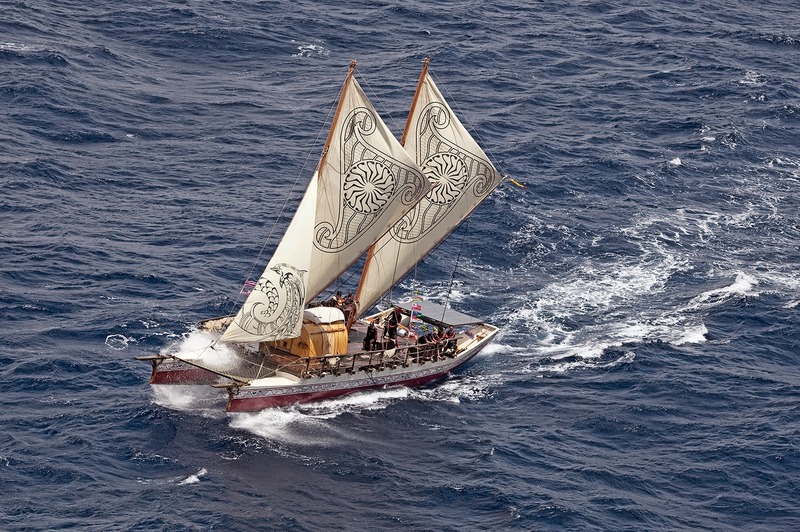 The historic voyage of Hokule’a from Hawai’i to the Bay of Islands in 1985, that led to return voyages of Te Aurere and Hine Moana re-proved the extraordinary capability of the Pacific Navigators in modern times. How come the descendants of Maui, Kupe and Tepaki are mostly failing at school? Have they all got dumber? How can they be, when all the evidence says the opposite? What’s busted? School or the people? -And if we say we believe as a nation, in operationalising the principles of Te Tiriti o Waitangi; -how can this be alright? -A long pre-amble to explain an adult life given to making school different for people who need that. So, how do we ReTool school to make it engaging, empowering and success making? At the same time how do we guarantee equity and access so that what our government calls “priority learners”, have the same opportunities for 3rd millenium citizenship as everybody else? The pedagogical paradigm change we are experiencing is as significant as the change from slate to exercise books: With slate being used as the medium for a one to many, simultaneous delivery system in large classroom the instructional mode could only ever be synchronous. When text and exercise books began to be used, the modern education system experienced the first asynchronous, group based instructional mode. The 3rd millenium new paradigm allows for variation in respect of place, pace, space, time and people and is the next big change-up of the delivery mode since the advent of the exercise book. 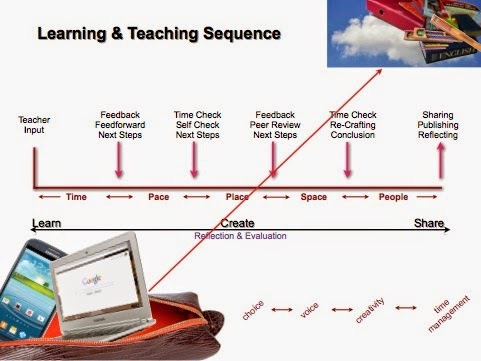 Quality teaching is still quality teaching with its critical inputs , feedback and time checks, but we are now able to innovate pedagogically in ways that were not previously available. We are also able to involve whanau in this endeavour. The chart below is an attempt to depict this change opportunity and the attendant tensions. This pedagogical change imperative must drive all the other necessary ReTooling developments otherwise we will just be introducing toys and tools. The principles we need to embed in all our practice and development are Partnership, Participation and Protection. -Essentially this means families, parents and children as genuine, safe, participatory partners. our whanau/aiga are all paying $3.75/week over 3 years to own their child’s netbook device. our whanau/aiga have co-constructed the Kawa of Care; -protocols for the safety, care and management of our children, their devices and their well being as they carry them to and from school. our whanau/aiga and stakeholders are not simply being asked for “buy in” or being consulted, they are being invited to contribute to the development & design of the IP we are all using. we are determined that there will be full participation, -no-one left out and that whanau will be able to oversee and participate in their children’s learning journeys. we are committed to the principle that our learners must have a genuine voice and an authentic audience. If the operationalising of these principles along with the pedagogical change imperative is not determined at the outset, the retooling process will result in a solution set that does not empower and enable the agency of the learner and whanau and may in fact result in the next generation of constraint and failure. In the work of ReTooling we have discovered that a new partnership is necessary around the delivery of education as not only are we unable to discover all the needed resource via vote education, but there are aspects of the work that at present, state education is not empowered to deliver. This partnership requires formal involvement of Academic Educators. Our pedagogical innovation needs to be informed and critiqued by people with credibility and authority. As mentioned above, our whanau need to be much more than recipients or consultees. They need to be part owners of the process, -as do our learners. We need help from the commercial sector, in order to develop a solution set that empowers people outside the normal commercial parameters. The commercial groups need to be partners and volunteers and not just purely commercial. We need philanthropic partners who are prepared to move away from a traditional grantor - grantee relationship and work in a catalysing partnership for change. We need volunteers to challenge all of the other sector partners and to develop IP that traditional enterprise, both education and commercial, won’t think of or consider. We need a Charitable Trust to anchor all this activity and ensure neutral holding and equitable distribution of resource. All these partnerships must conform to the principles of Te Tiriti o Waitangi and exist to deliver the ideas enunciated in the pedagogical change imperative. At an age determined by the community, each child must have their own appropriate net connected, learning focused device. Each development must have a cloud solution that ensures “visible learning” with appropriate feedback -feedforward, identity and access management, permissioning and portability. School infrastructure must be robust enough, that using these media is as reliable as opening a book. For any time, any place, any pace learning to be a reality, home access must be provided at an affordable cost with appropriate safety and security measures. Transparent research and development must be on-going and made honestly available to all partners, especially families. “Be willing to be transformed: How dare we think we can transform school or the lives of kids if we will not be transformed ourselves”2. The Manaiakalani/Pt England story is one of people saying "yes". We have immense gratitude to the many supporters who have enabled this new partnership for education success. We are an Open Source Project and are committed to giving away the IP we develop to empower people in one of New Zealand's most fragile communities. 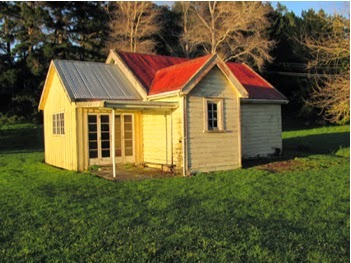 Pt England School and the Manaiakalani Programme are located in Tamaki, Auckland. My beginning school experience was similar to yours. I was hustled in to a primer 1 room to land at the feet of a Miss #%^&*~~ who had the most unforgiving visage and struck terror into my heart. I arrived a free spirit and creative and lively and very soon ran away when I realised that school was not the place I thought it was going to be! Luckily I was saved by a gorgeous primer 2 teachers who saw 'potential' in this naughty little girl. It brings home the importance of those early experiences and relationships. Brilliant journey - in fact awe inspiring! !